Sonepur, also known as Subarnapur, is a town and district headquarters of Subarnapur district of Odisha. Also known as Narasimnath temple, this is the highest monument of Sonepur standing about 80 metre in height. 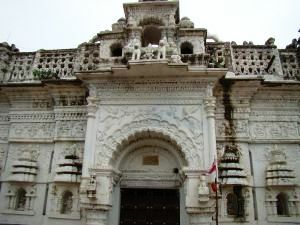 The Gundicha temple of Sonepur is said to have been built by Gundicha devi to commemorate the birth of his son Niladri Singh. Lord Narasimnath is worshipped here. Further during the time of the Car festival. Lord Jagnnath, Lord Balabhadra and Goddess Subhdara are worshipped here. A colossal statue of Lord Narasimnath Located in the sanctum was built by king Prithiraj Singhdeo. The temple is about 80 feet high.